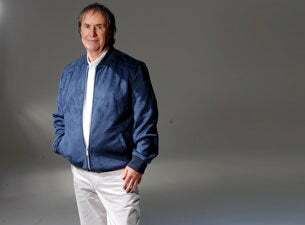 June 1 2016 saw the 30th anniversary of the release of Chris de Burgh’s album ‘Into The Light’. This was the album that established Chris as a true worldwide superstar. The album sold in excess of 8 million copies and included the iconic single ‘The Lady In Red’, which reached number 1 in 47 countries and still regularly wins ASCAP awards for being one of the most played songs on the planet. The album also included such hits as ‘The Ballroom Of Romance’, ‘Say Goodbye To It All’, ‘The Spirit Of Man’ and ‘Fire On The Water’. Some 50 million record sales later! September this year sees the release of Chris’ 26th studio album - ‘A Better World’. The new album will include 15 brand new self-penned songs which encompass all the craftsmanship learnt from the more than 280 songs written by this master songwriter. The release of his new album will also coincide with the announcement of UK tour dates as Chris and his band perform ‘A Better World’ across Europe in 2017. The campaign for ‘A Better World’ will commence with the release of the first single from the new album ‘Bethlehem’ – a dynamic rock track reminiscent of the global hits ‘Don’t Pay The Ferryman’ and ‘High On Emotion’.